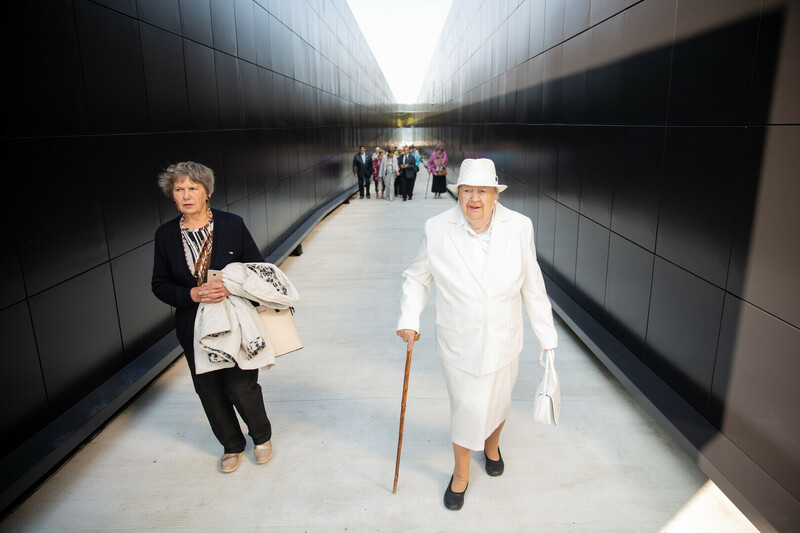 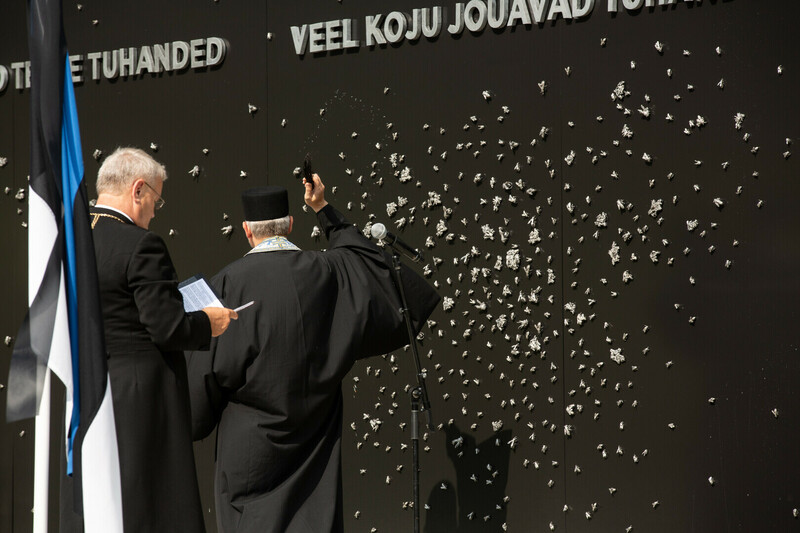 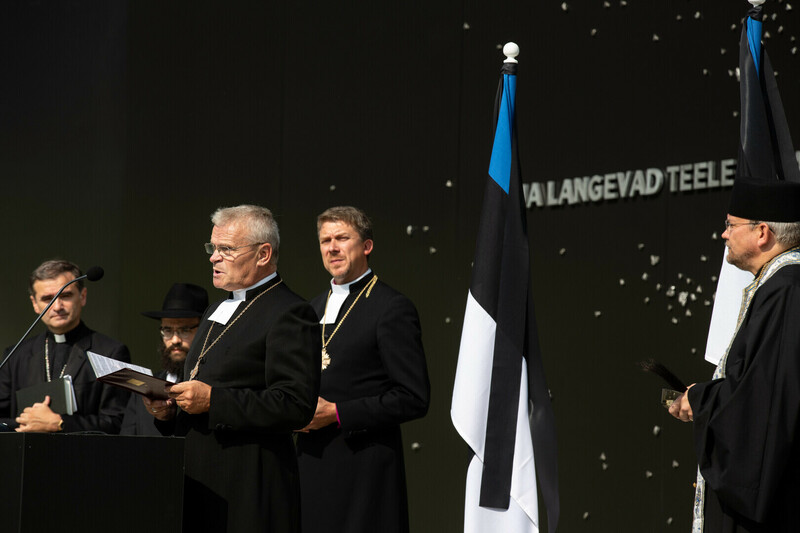 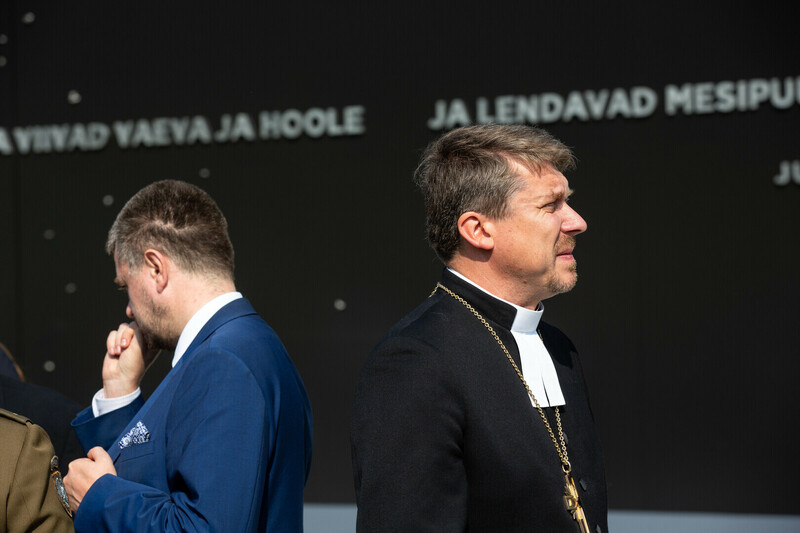 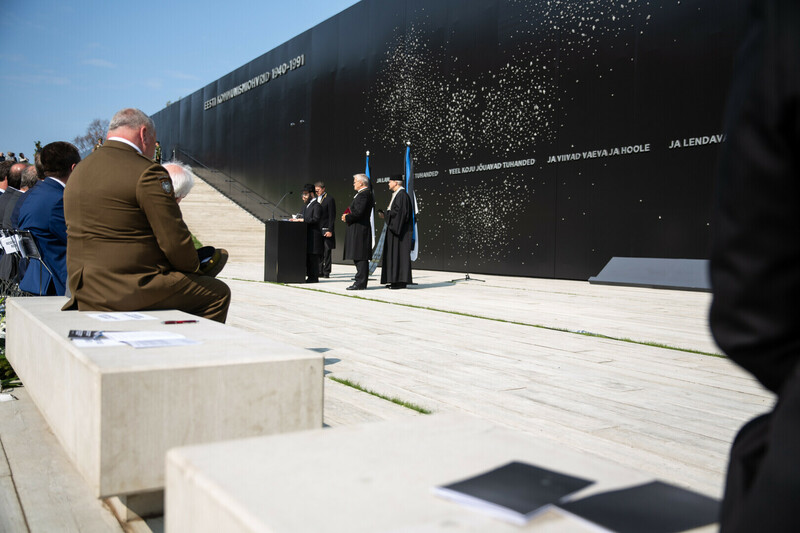 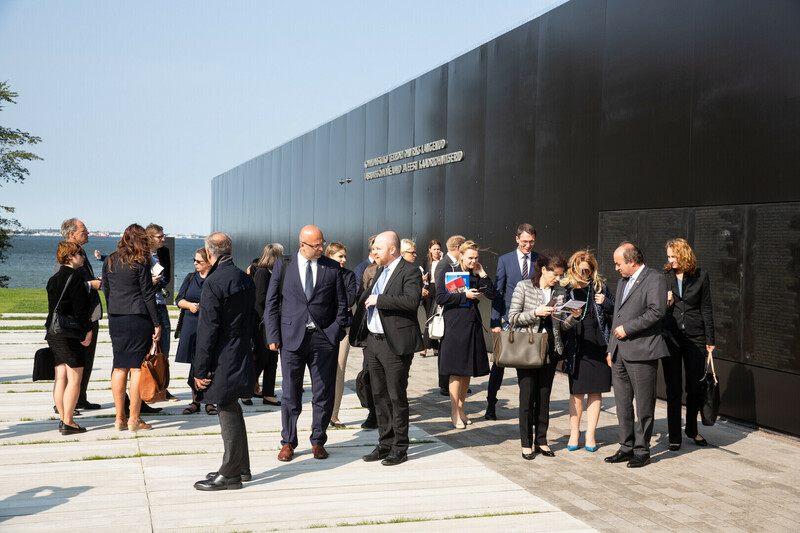 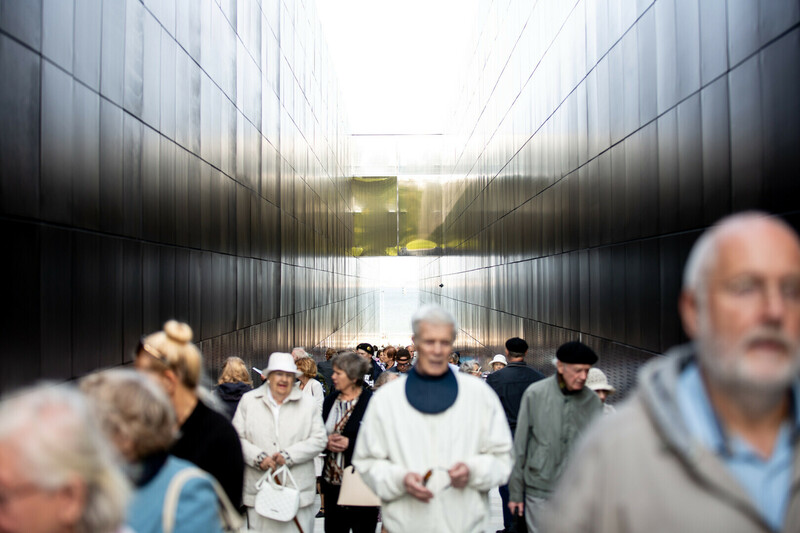 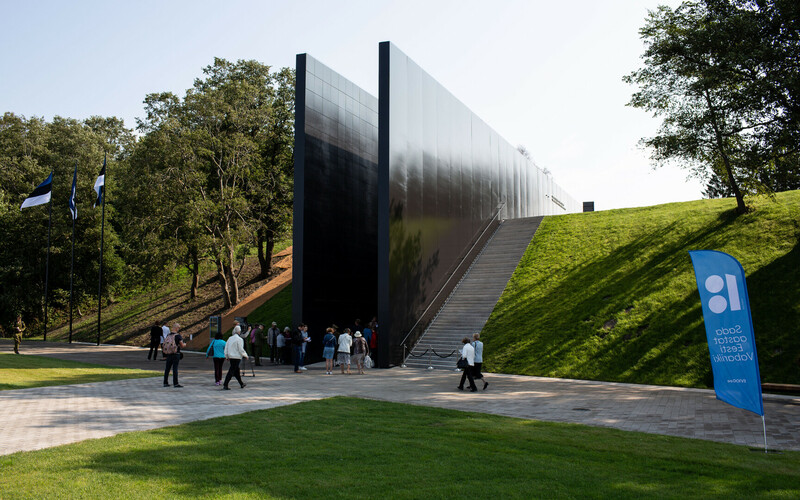 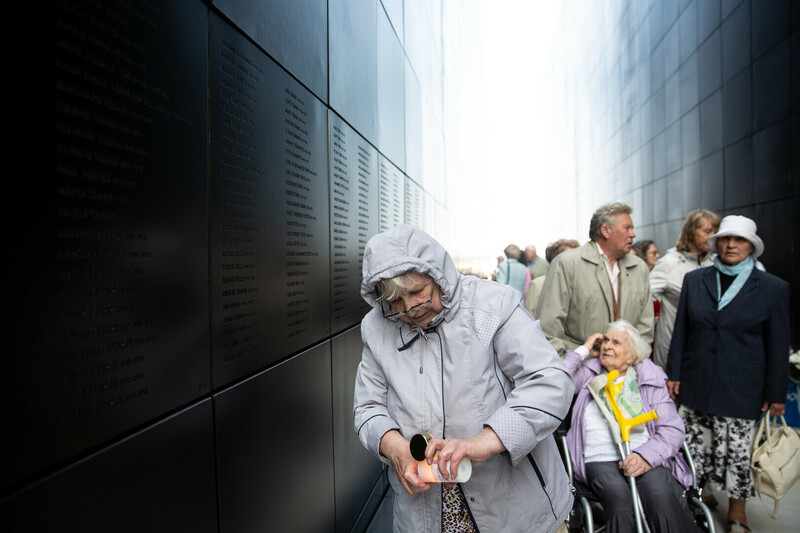 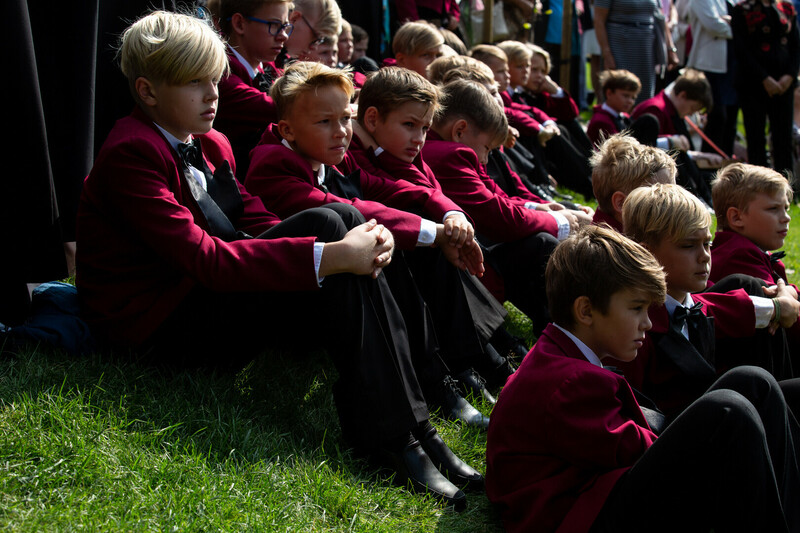 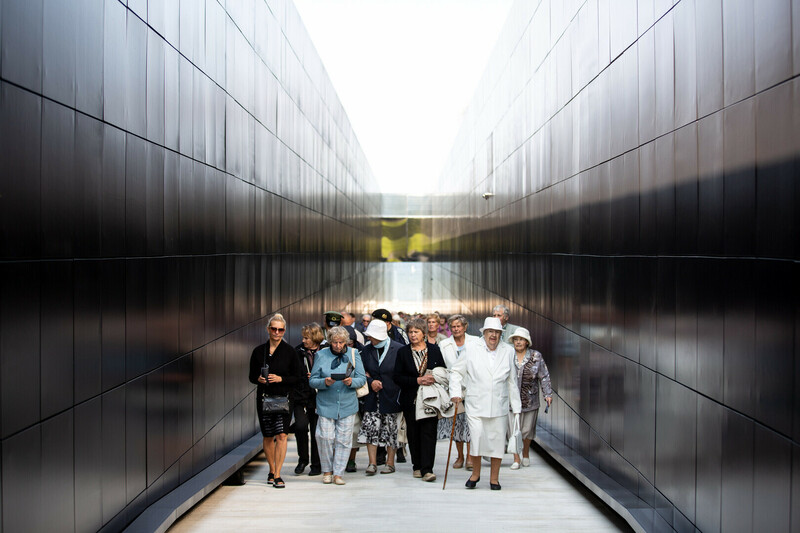 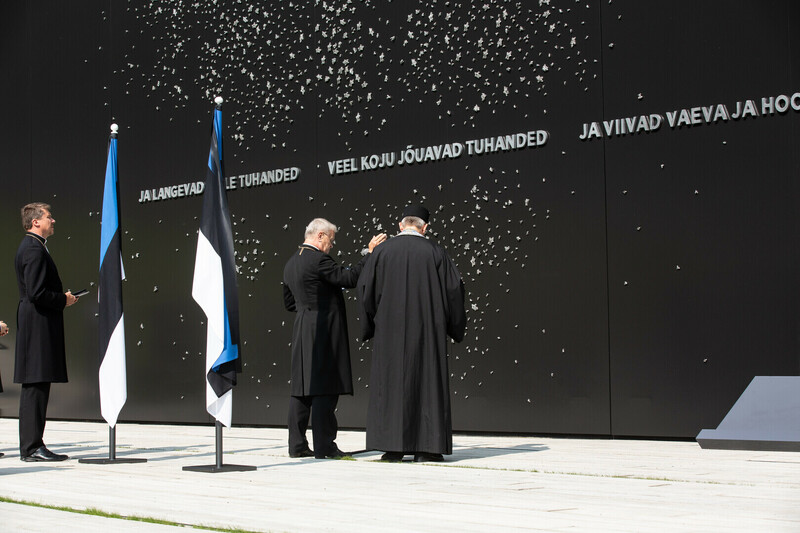 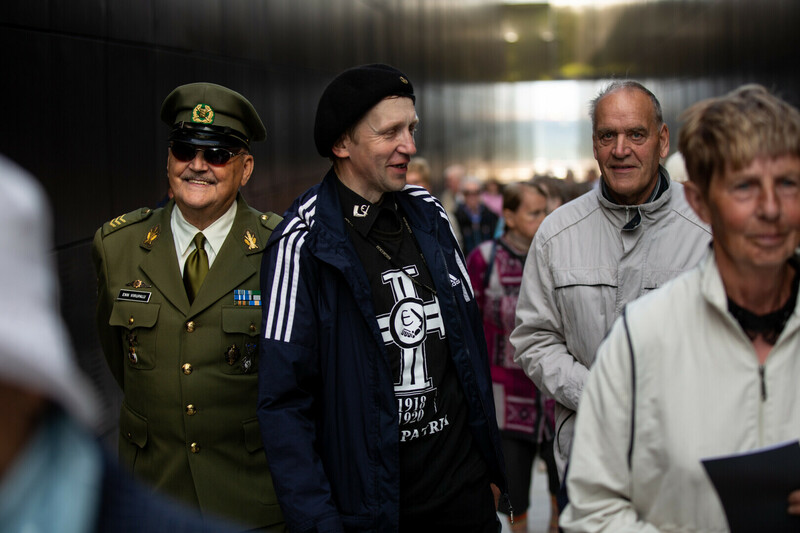 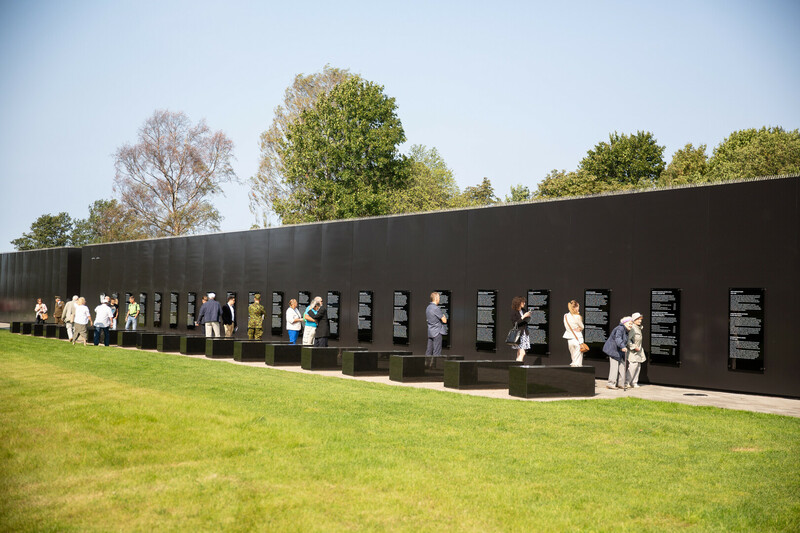 The newly completed Victims of Communism Memorial in the Maarjamäe neighbourhood of Tallinn was opened with a special ceremony on Thursday timed to coincide with the European Day of Remembrance for Victims of Stalinism and Nazism, also known as Black Ribbon Day. 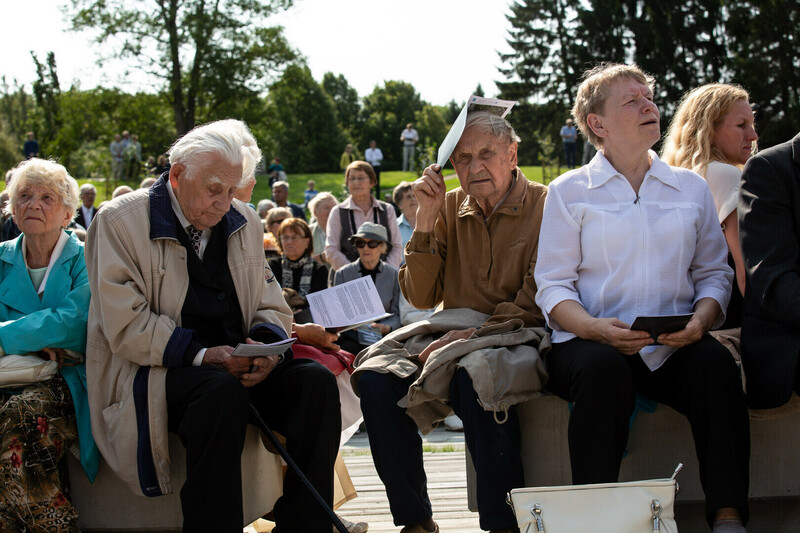 The memorial lists the names of more than 22,000 people who lost their lives under the communist regime, the majority of whom died far from home, their places of burial unknown. 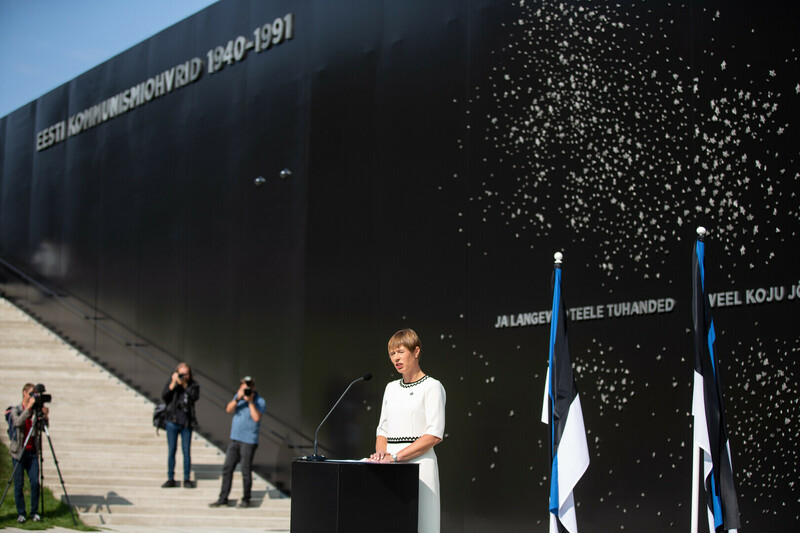 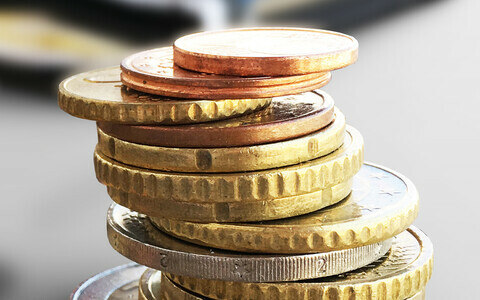 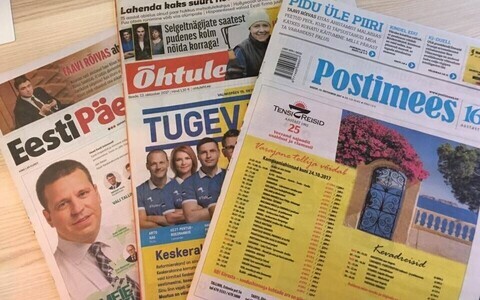 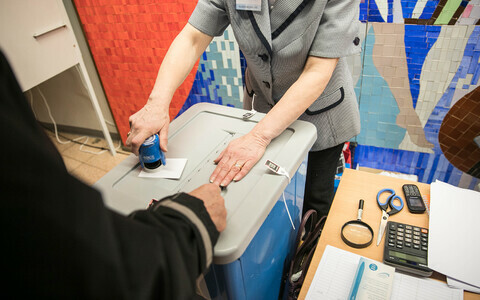 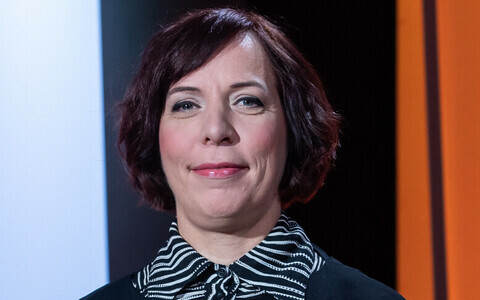 Representatives of the Ministries of Justice of Estonia, Latvia, Lithuania, Romania, Croatia, the Czech Republic and Hungary all joined an appeal in Tallinn calling on the investigation of communist crimes to continue. 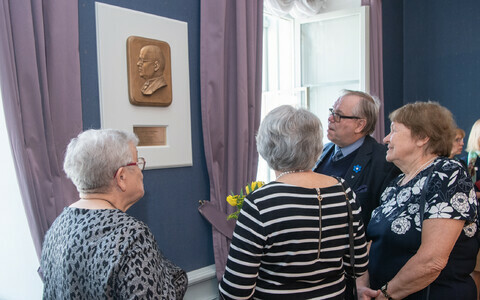 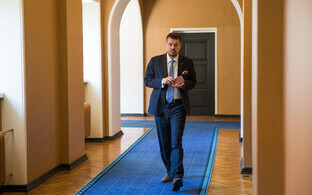 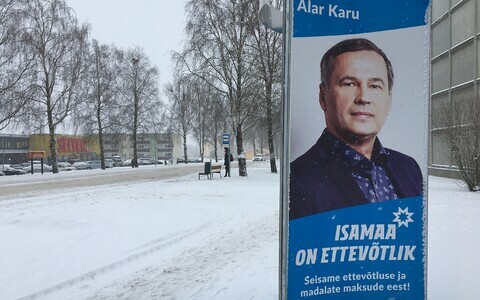 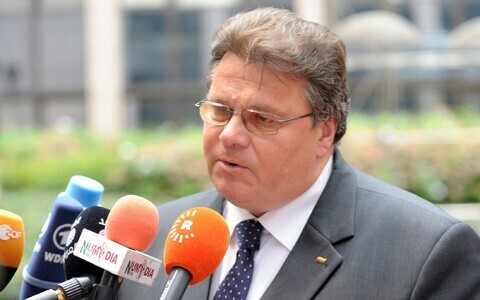 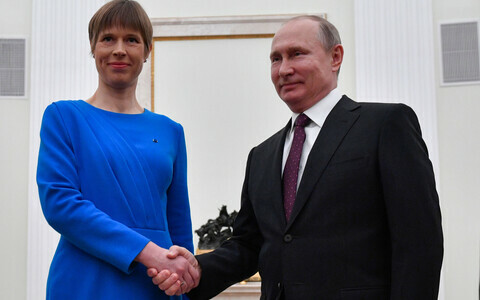 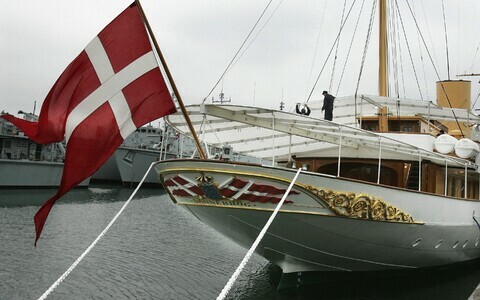 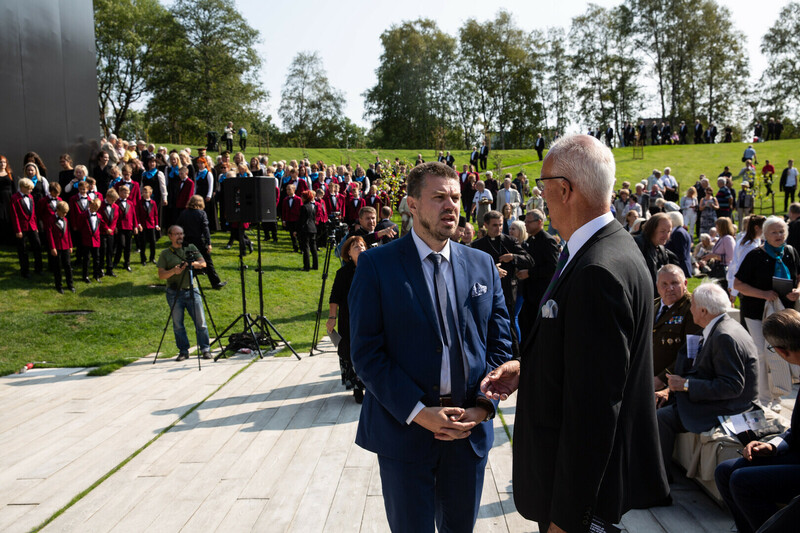 "It is remarkable that the representatives of eight countries are demanding for the investigation of communist crimes to continue," said Minister of Justice Urmas Reinsalu (Pro Patria). 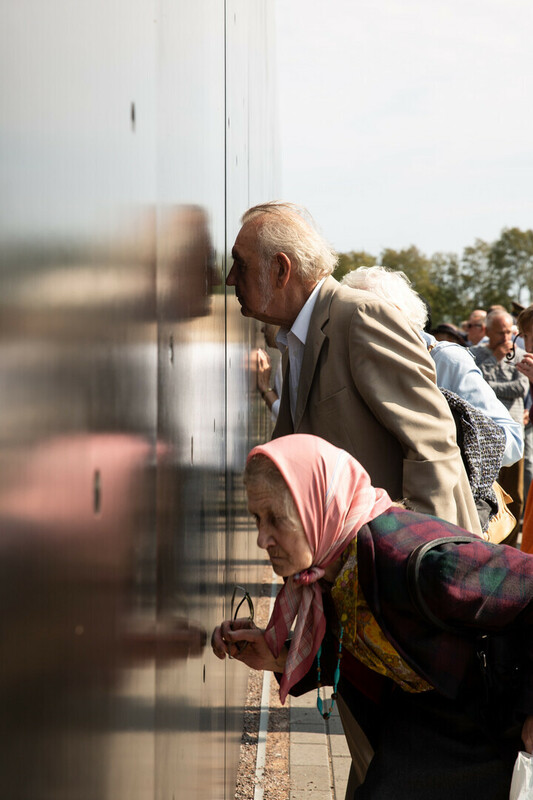 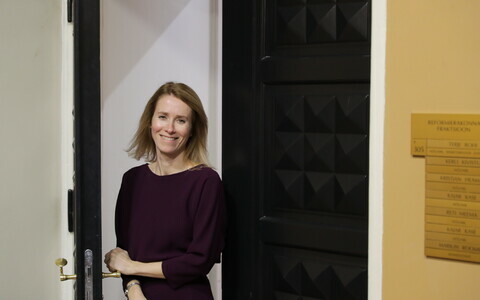 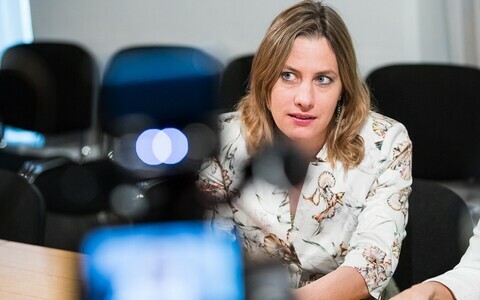 "It is clear that the research and acknowledgement of the brutality of the history and crimes of totalitarian regimes is Europe's joint responsibility. 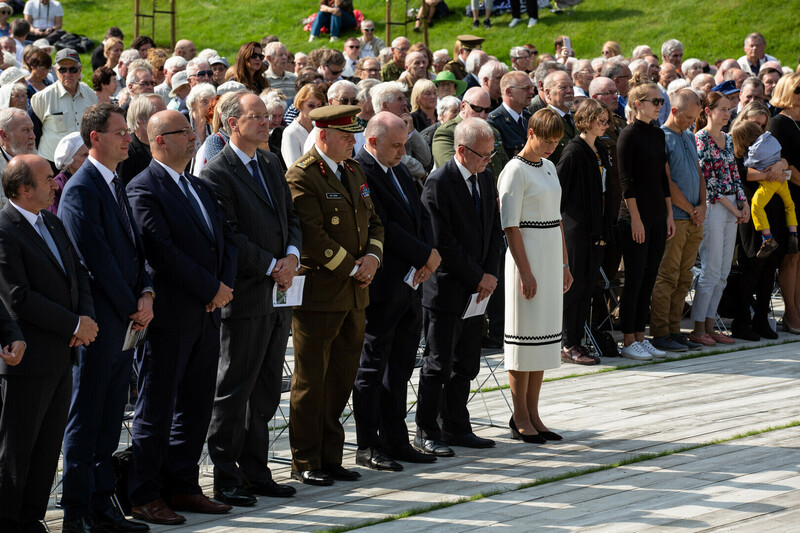 Together we are able to shield our hard-won freedom, democracy and human rights from current and future dangers that arise from brutal ideologies." 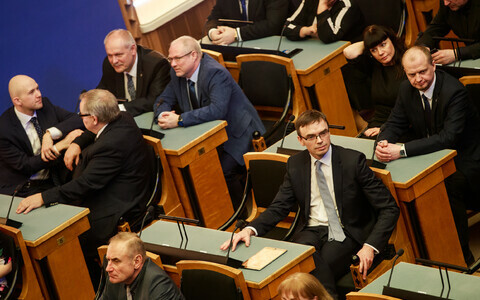 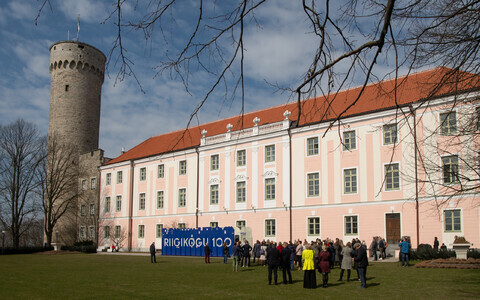 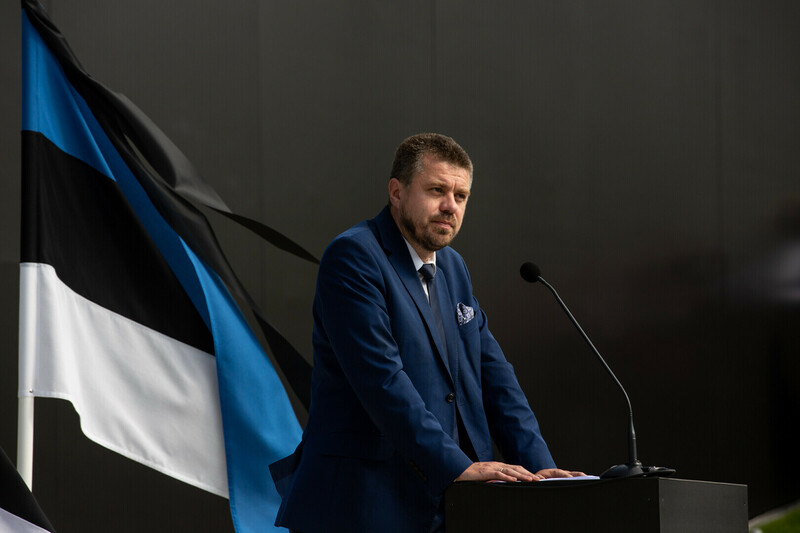 Representatives of EU member state government present at Thursday's event likewise urged other national governments to pay tribute to all victims of the political terror of totalitarian regimes, and attendees at the event expressed support for the Estonian government's decision to establish a crimes of communism museum in Tallinn. 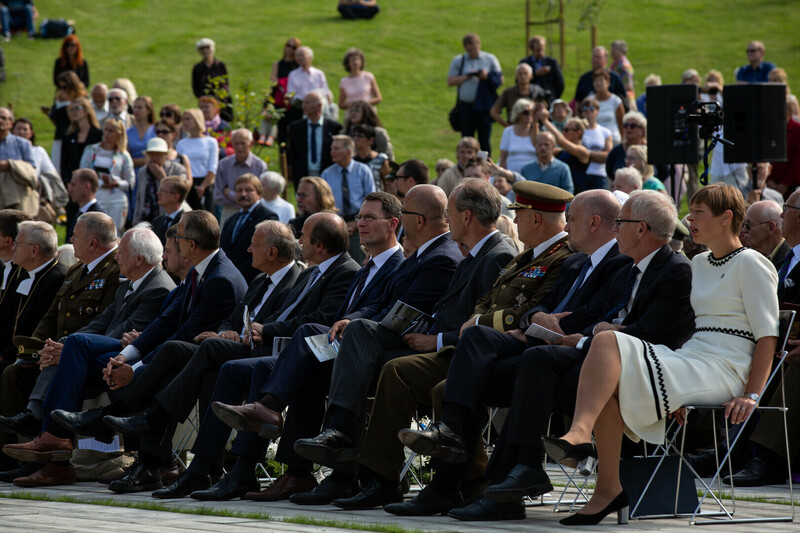 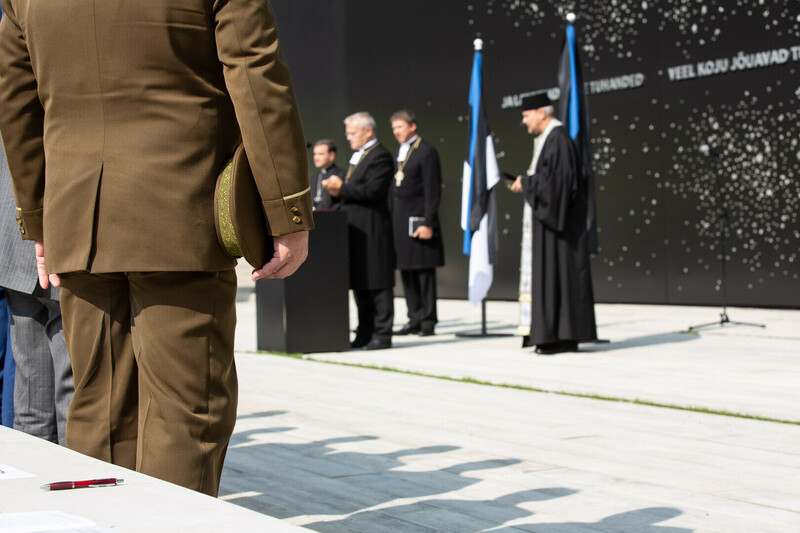 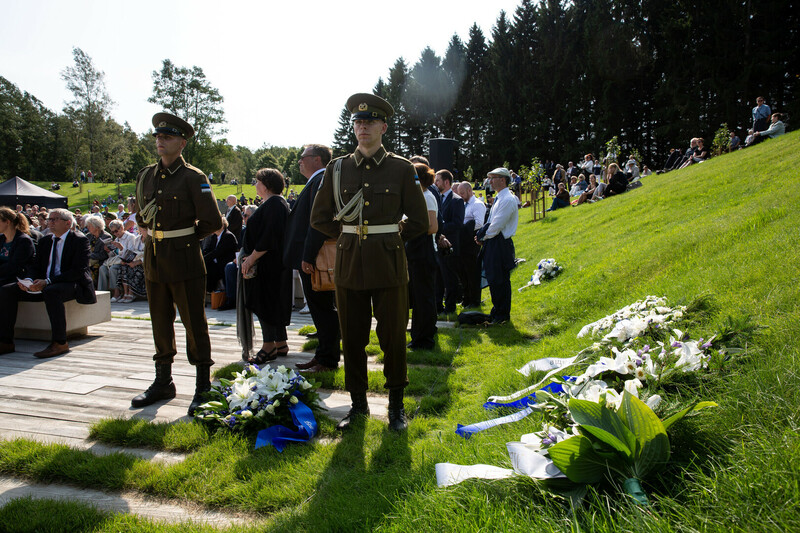 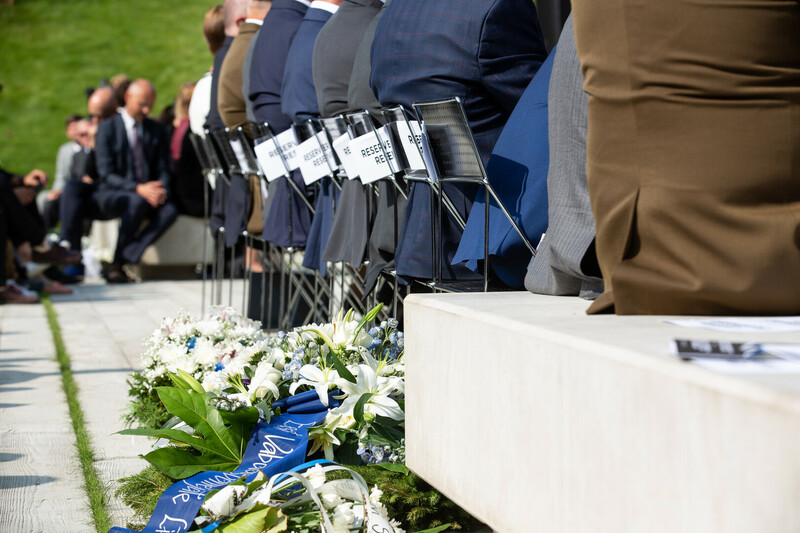 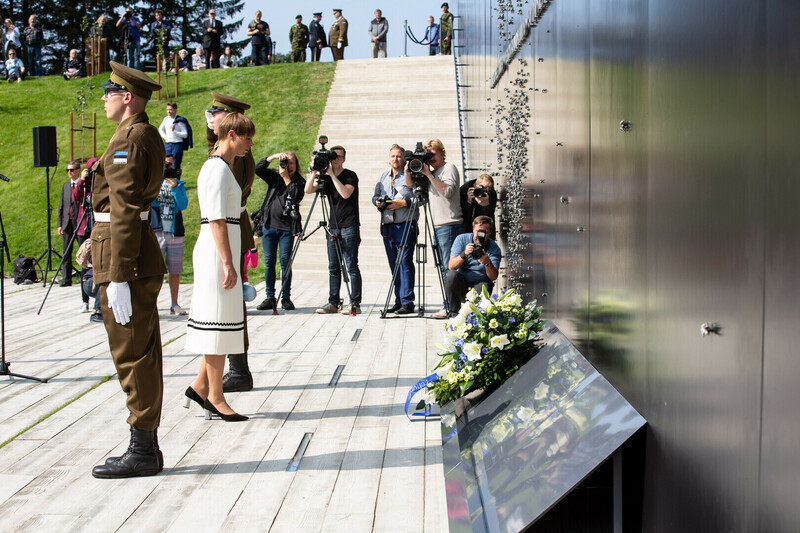 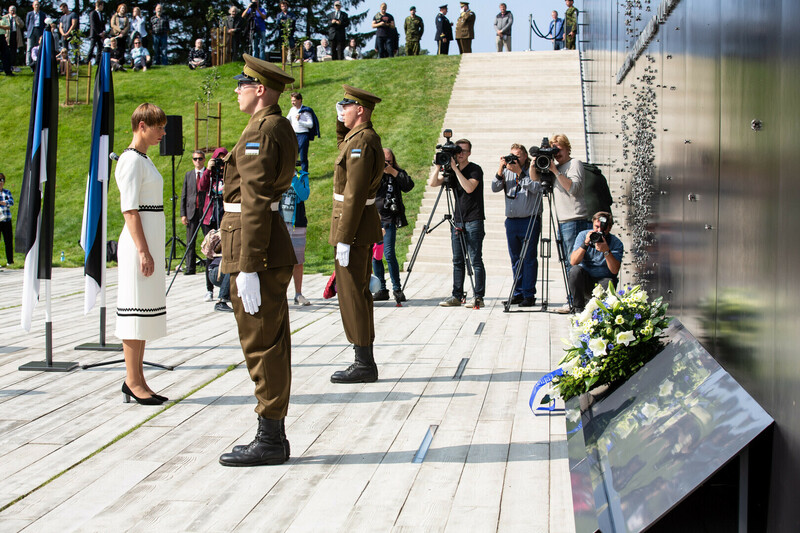 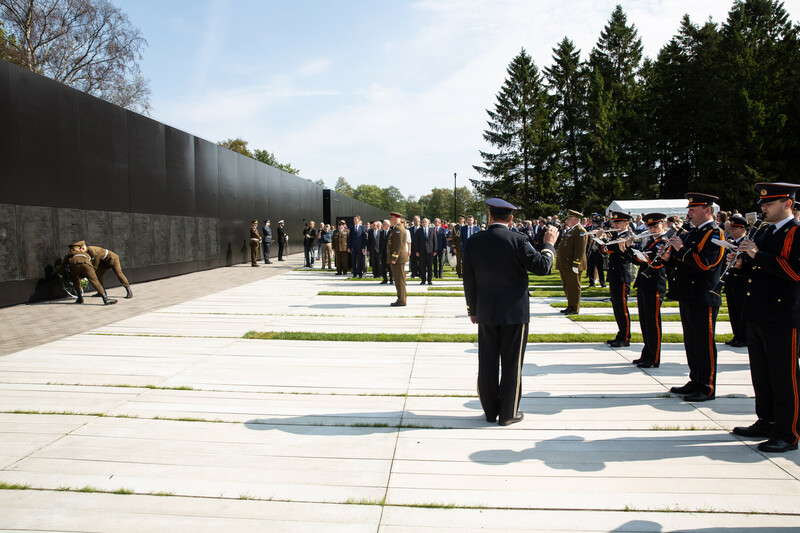 Commander of the Estonian Defence Forces (EDF) Gen. Riho Terras laid a wreath at the foot of the memorial in memory of all fallen EDF officers and officials. 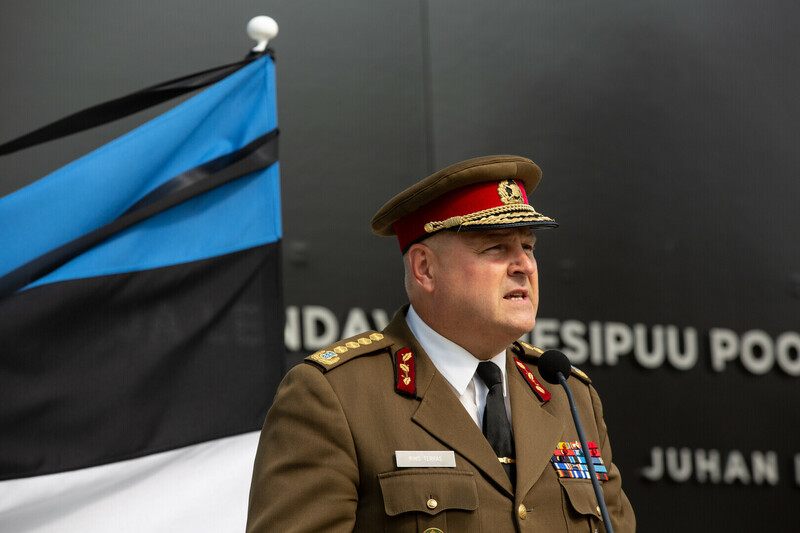 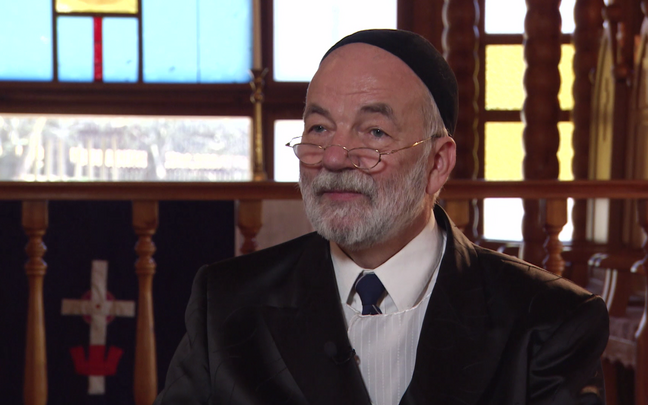 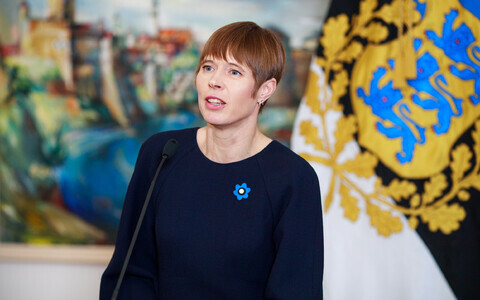 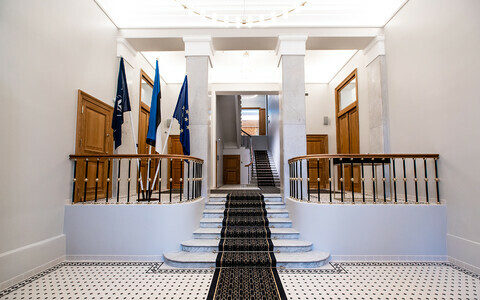 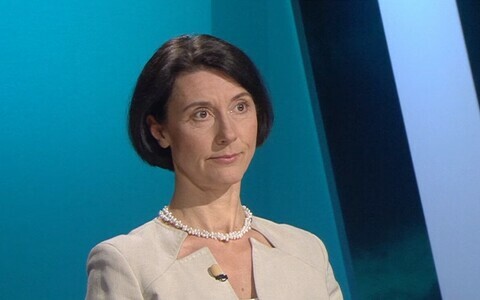 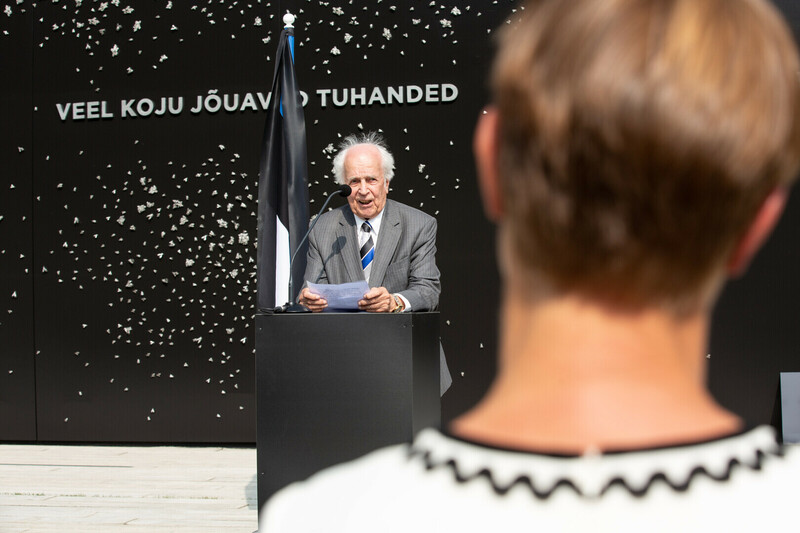 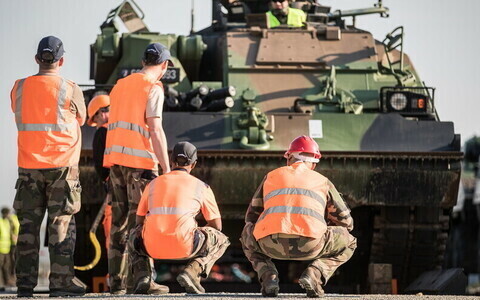 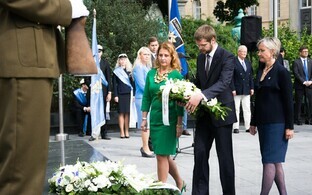 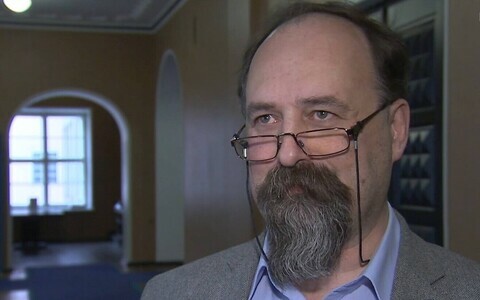 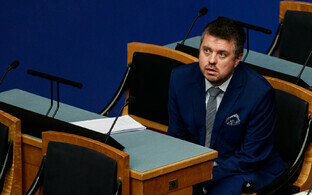 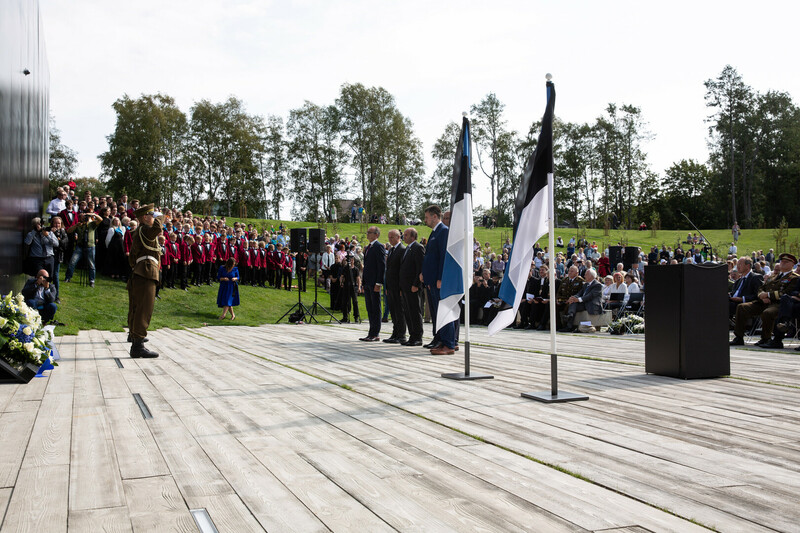 "The Estonian Defence Forces suffered alongside the Estonian people under communist terror," Terras said in a speech at the opening ceremony. 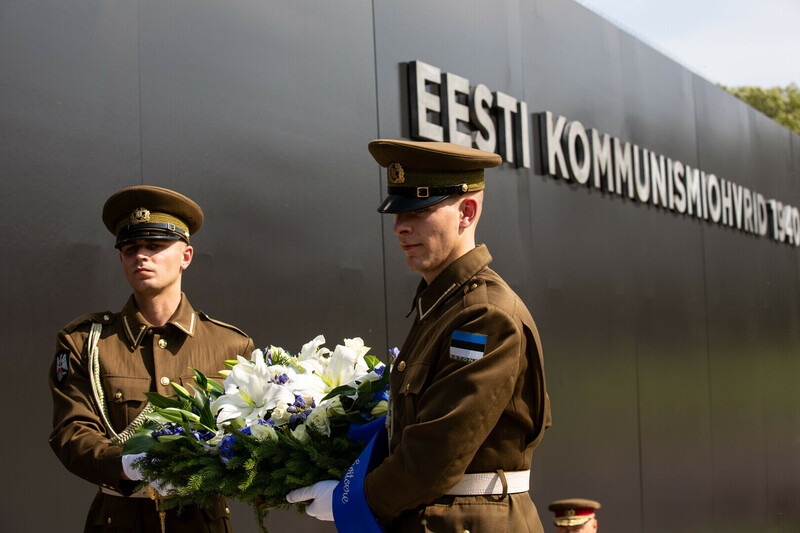 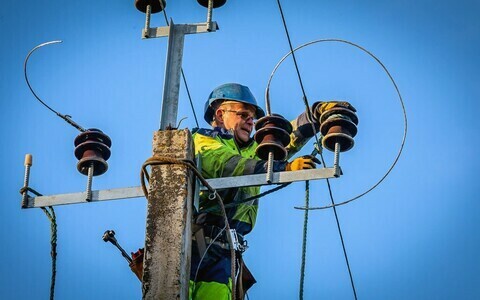 "Nearly a quarter of our EDF, Estonian Defence League (EDL) and Border Guard officers were murdered by Red occupying forces or died later in prison. 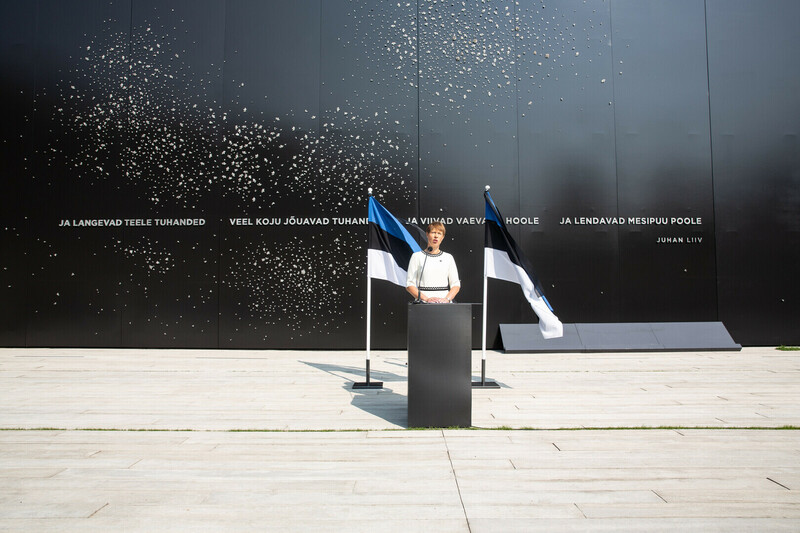 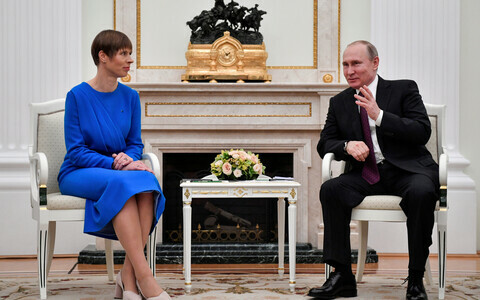 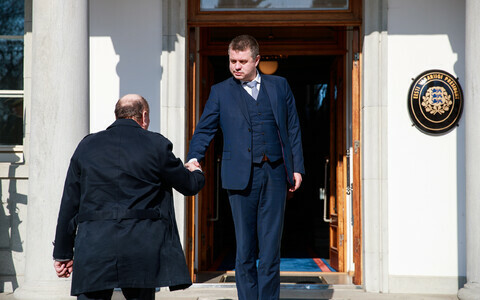 It is extremely unfortunate that those upon whom we relied to organise and lead Estonia's defence in the event of war were among the first to fall victim to the Red Terror." 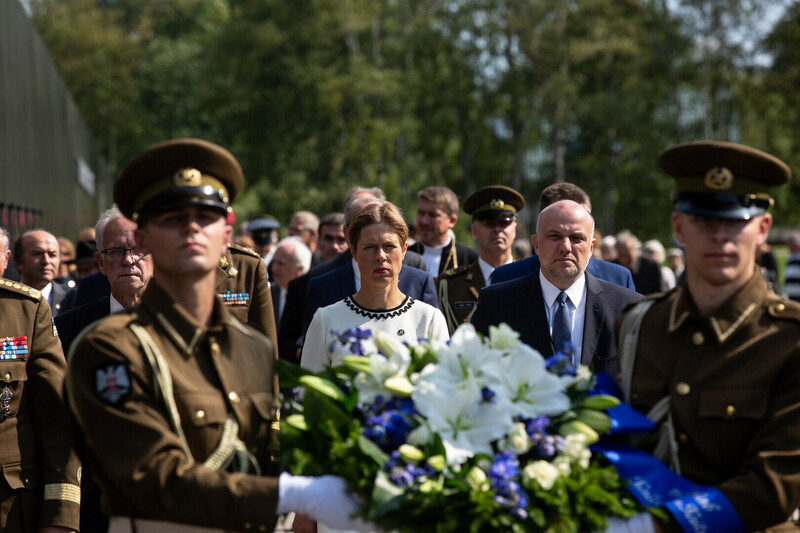 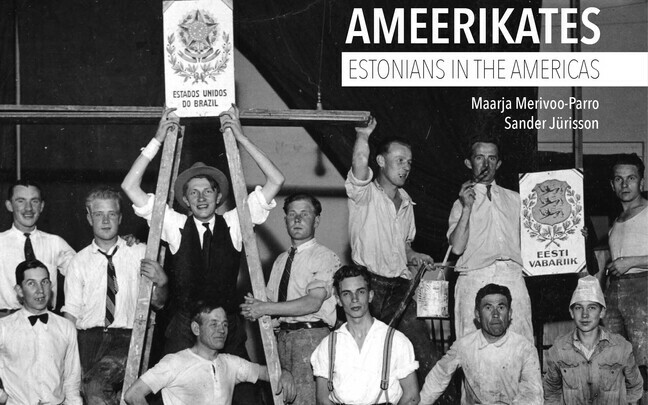 In the summer of 1940, Estonia's military elite and the heroes of the War of Independence were the first to fall victim to terror. 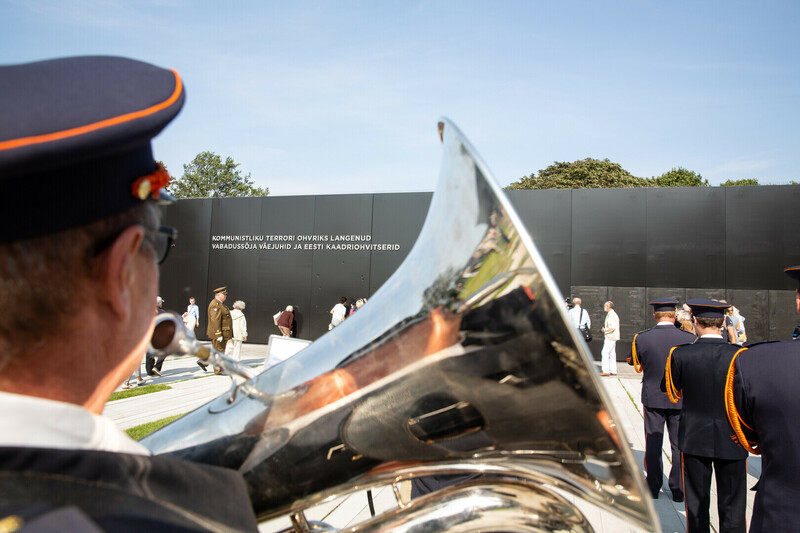 The majority of the active military's generals and senior officers, but also over 500 junior, retired and reserve officers were arrested and murdered, or died in prison. 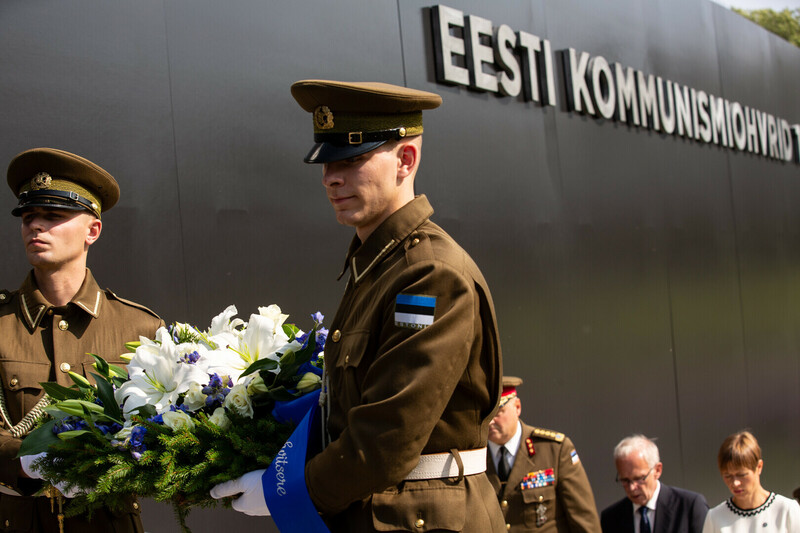 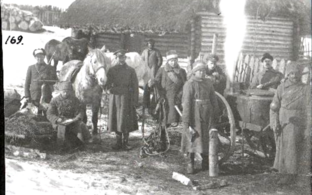 A total of 801 active service officers and military officials fell victim to Soviet terror, accounting for a quarter of all Estonian military officers. 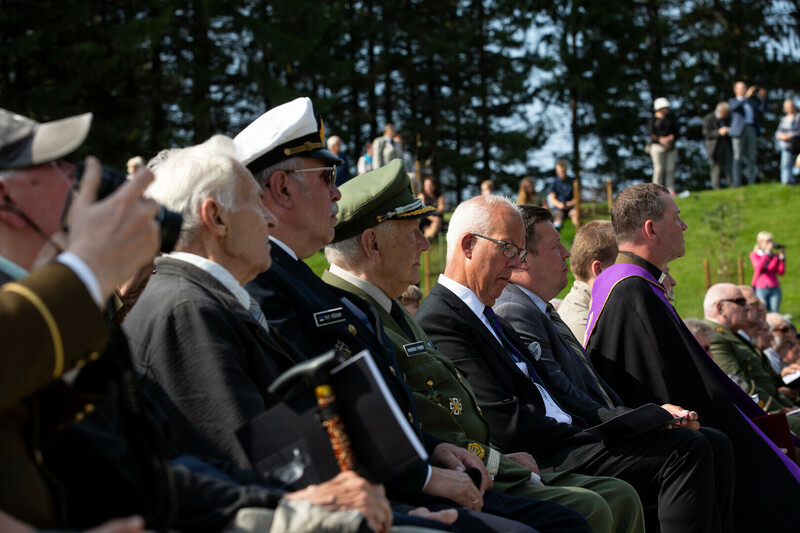 Nearly two thirds thereof had fought in the Estonian War of Independence, among them 198 recipients of the Cross of Liberty. 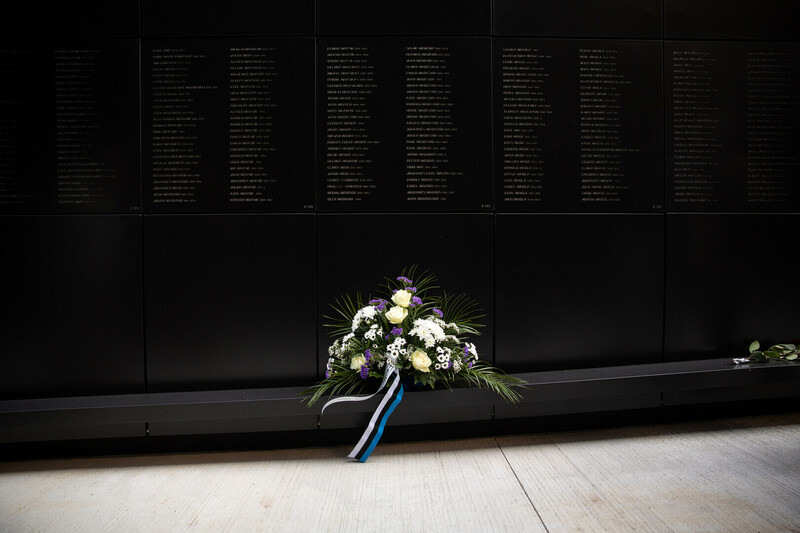 In April 2009, the European Parliament proposed in its resolution "European conscience and totalitarianism" to declare 23 August the European Day of Remembrance for Victims of Stalinism and Nazism. 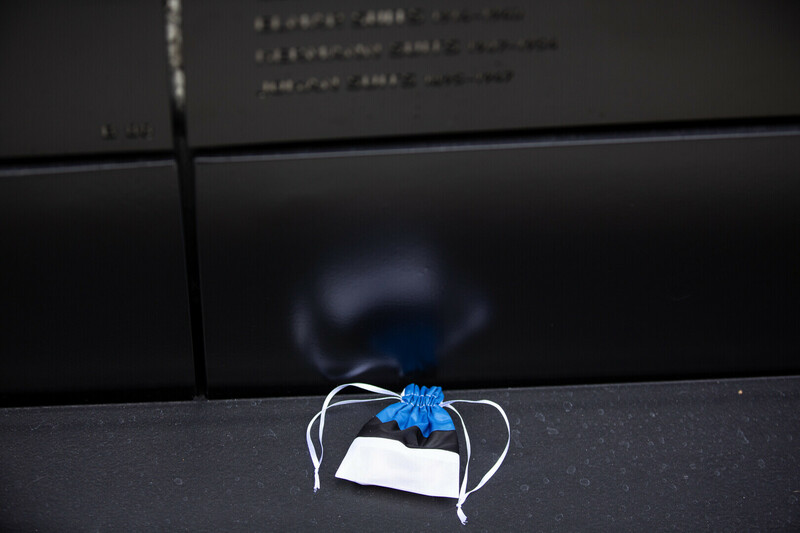 In many countries, the day is also known as Black Ribbon Day. 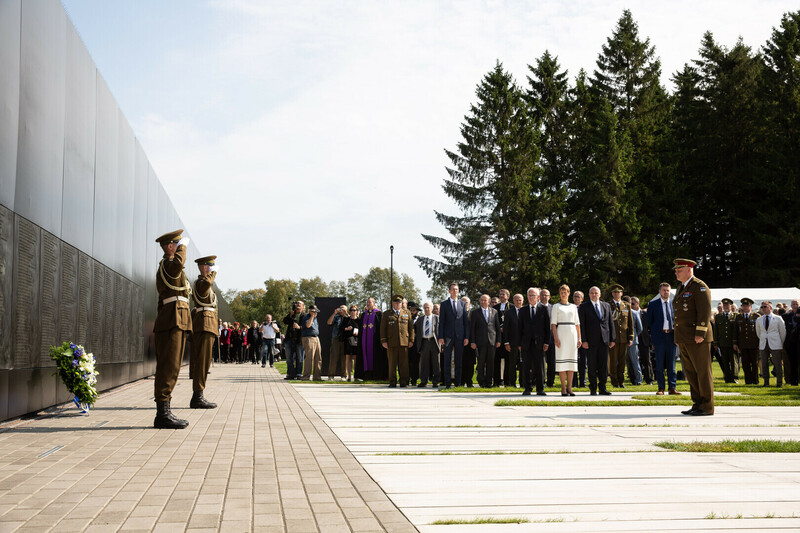 Thursday marks 79 years since the signing of the Molotov-Ribbentrop Pact, which gave Nazi Germany free rein to launch World War II. 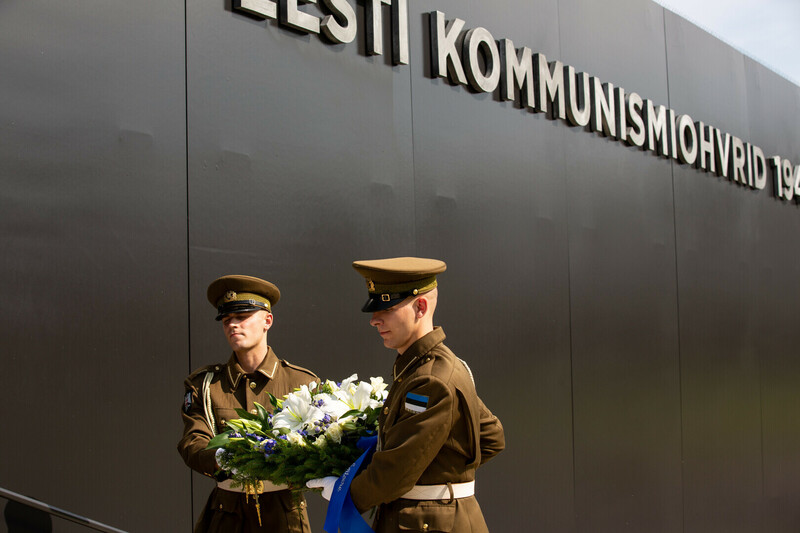 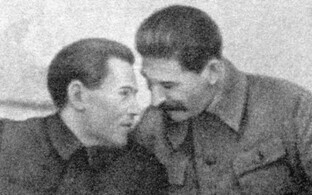 The secret protocol of the pact divided Eastern Europe into Nazi German and Communist Soviet Union spheres of influence, laid the foundation for the destruction of the independent statehood of Poland, Lithuania, Latvia and Estonia, and launched a chain of events that led to millions of Europeans falling victim to genocide, crimes against humanity and war crimes. 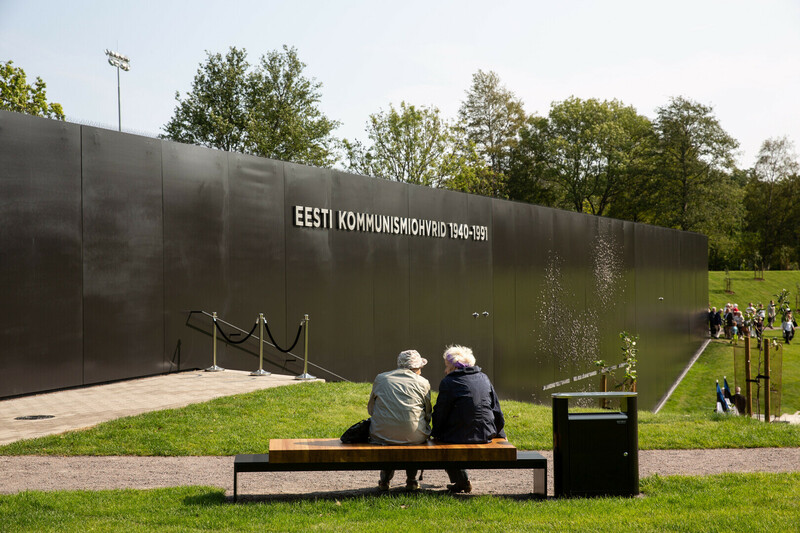 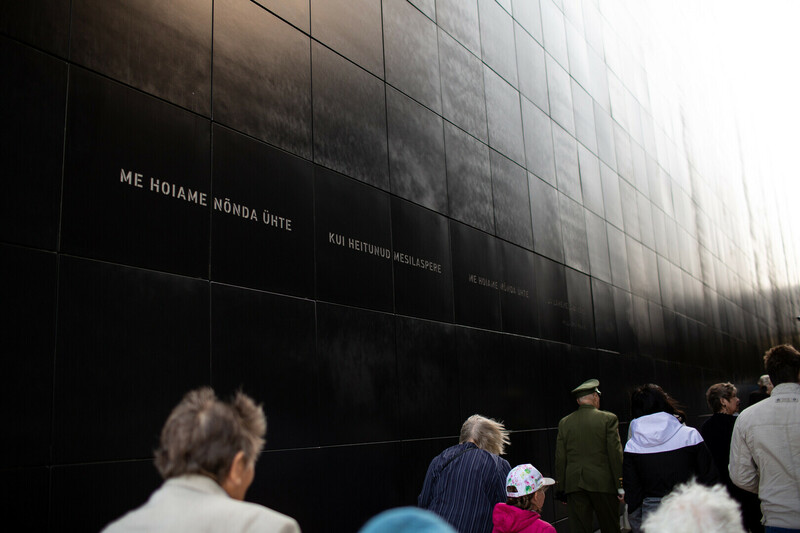 The Victims of Communism Memorial, which was built in time for the Estonian centennial in 2018, consists of two parts: "The Journey" and "Home Garden." 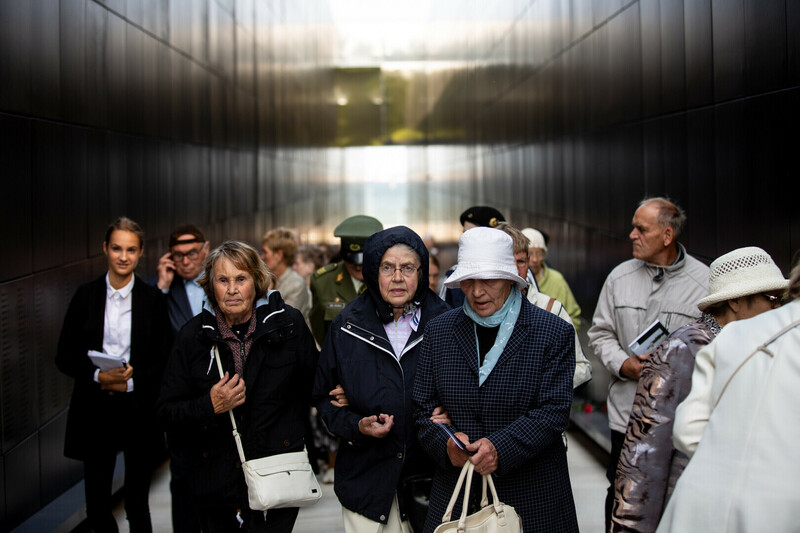 The former consists of a memorial corridor inscribed with the names of more than 22,000 victims of communism, many of whom died far from home, their places of burial unknown. 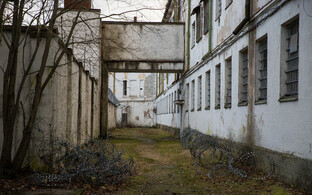 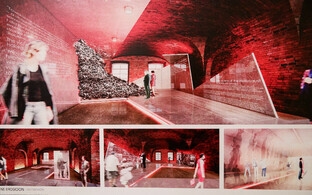 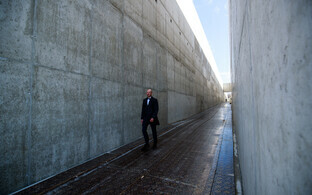 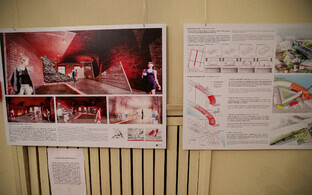 This corridor represents the mercilessness and brutality of the totalitarian regime. 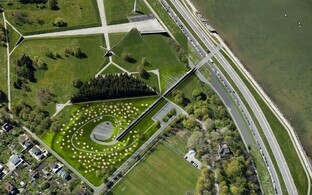 The "Home Garden," representing peace and safety, includes a park with apple trees and bees along the parkside wall of the memorial. 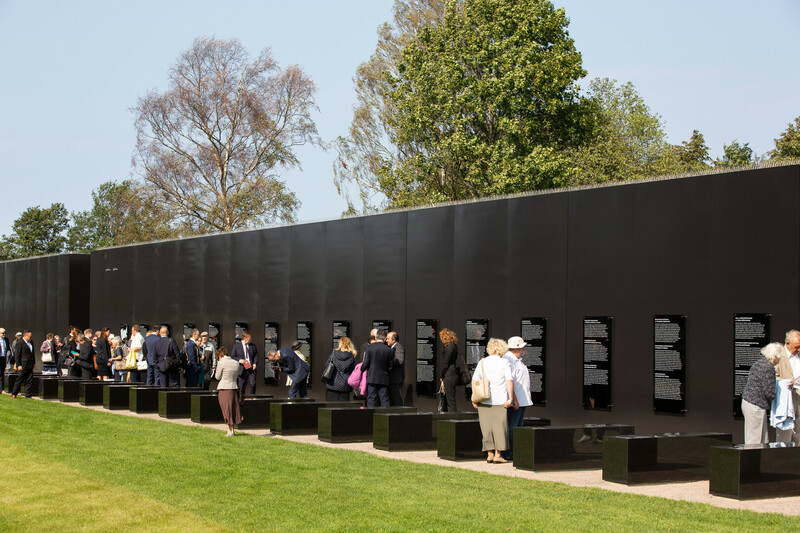 A searchable database of the names included in the memorial, which includes information on where on the wall the name is located, can be found here.